A Multi-Yurt is an interlinked Yurt complex where multiple Yurts are linked with conjoined doorways. 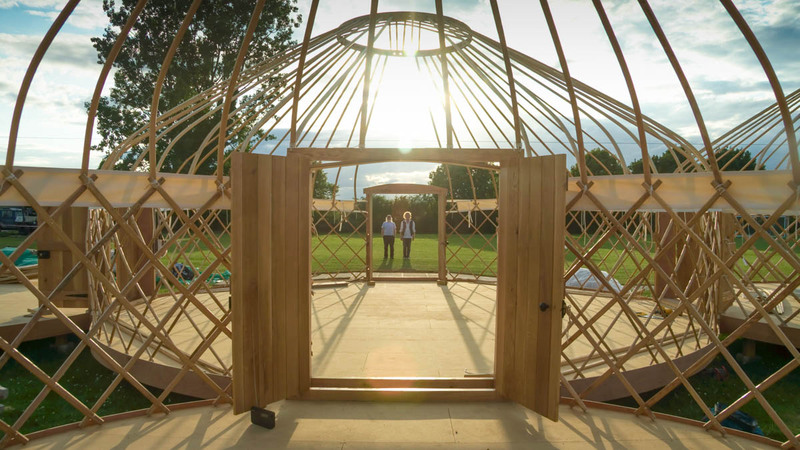 Hearthworks is one of the only companies in the UK to specialize in manufacturing bespoke multi-celled Yurt constructions. Whether the vision is for Yurt homes or education centres, glampsites or group spaces. 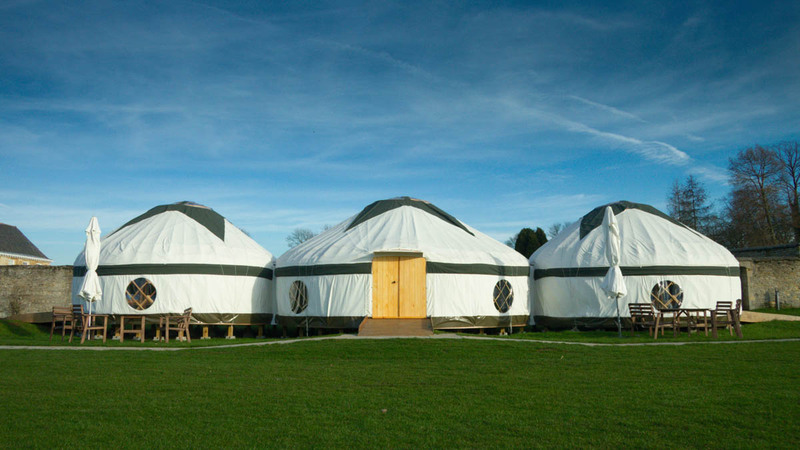 From the simplicity of two adjoining yurts to the magnificence of seven interconnected Yurts. The diversity of applications for Multi-Yurts is limited only by the imagination. It provides one of the most practical, appealing and inherently stylish alternatives to traditional construction. 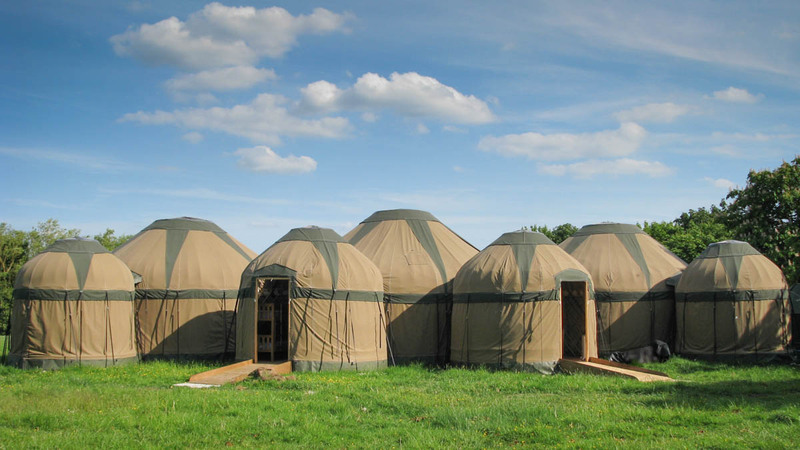 Hearthworks has evolved to become the leading UK company creating Multi-Yurt complexes. Over the last seven years we have created Yurt complexes by joining two, three, five, seven and even eight Yurts of varying sizes together. Our interlinked Yurts feature our unique canvas joining system which is built into the canvas walls and roof covers of the corresponding yurts. The frames themselves remain as separate structures, allowing their integrity as individual units to be maintained. Allowing different sized yurts to exist as part one clustered complex brings in a whole new dimension to the possible uses. Accommodation Yurts combined with lounges or ensuite bathrooms. There are the usual options of windows, felt insulation, flooring, decking, access ramps, steps and solid wooden doors. With unlimited scope for your vision, a Multi-Yurt can be as permanent or temporary as the site requires. Please enquire for more details or to discuss your requirements. All our Multi-Yurts are bespoke made-to-order projects.